Witness protection has a protocol for dealing with every situation - except magic. As she attempts to make sense of the frightening scene, a mysterious group of teenagers appears out of thin air. They are intrigued she's not affected, but focus on completing their deadly mission, using baffling powers before they vanish again. When the group seeks her out the next day, Cate is drawn unto a world filled with sorcery and time travel. After she accidentally brings a cheerleader back from the dead, her incredible powers are revealed. Care is shocked to discover she has a pivotal role to play in a centuries- old battle between two mortal enemies which threatens to destroy her entire world. With the distinction between food and evil blurred, Cate's faced with the choice of which side to join to enable her to dave her family. Should she rewrite history and risk destroying innocent lives to save the ones she loves? I originally read this book back in 2015 (albeit it was December 2015) and I read it in its original editions called Timesurfers. But to be honest, I am really intrigued to see that changes made to the story and to see how much development Rhonda has made in the past year. I am also participating in the #TMSreadalong and the #MArchYAKUchallenge on Instagram. 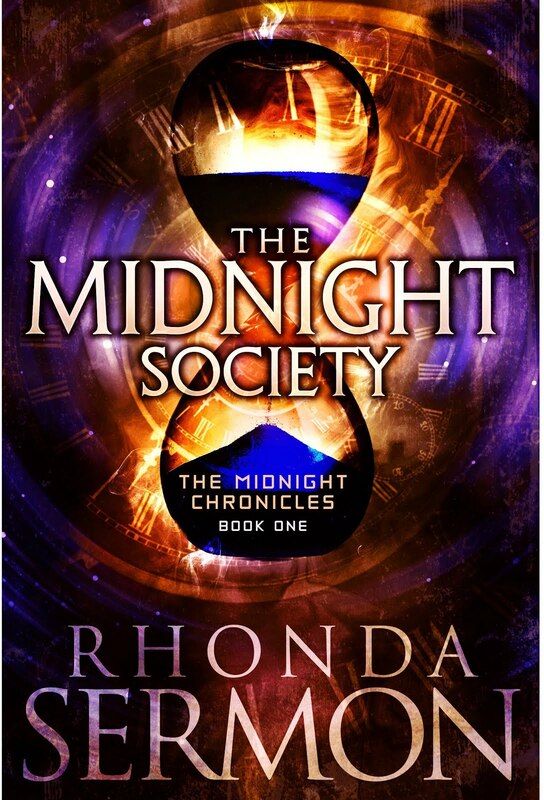 The writing in Timesurfers and the writing in The Midnight Society did not change by much. The writing still remained fun and easy to read. However there were some points where the words felt heavy and forced. The books is told from the point of view of a fifteen/sixteen-year-old but there were times where it did not feel like that at all. I loved this book two years ago when I originally read it. And if I am perfectly honest I had expected major changes to the plot when it was re-released as The Midnight Society. However, that was definitely not the case, the changes were way more subtle and I barely noticed it. The book continued to hold its charms and quirks, it seemed like the author simply smoothed out the rough edges that might have caused confusion. Unfortunately I did not enjoy this book as much as I had. There were so many things that just didn't make sense this time around and I think it might be due to the fact that I read a lot more critically than when I started this journey two years ago. I love these characters. We have two very opposite but equally appealing possible love interests. Of course one is more viable than the other but it doesn't stop us shippers from hoping. We also have two kickass Timesurfer ladies along with one evil villain who is not who they appear to be. I adored Cate's crazy sarcastic character and her friendship that she had with Eve. But there were just some qualities that did not make sense to me, or rather the circumstance that are supposed to make these qualities shine. For example, Cate is said to have a black bely but she wasn't good at fighting, at all. She had a few cool moments but the rest of the time she kinda sucked. Instead of reinforcing what she had been taught on her journey to the black belt, it seemed as if Cate had just started to lean how to throw a punch. I loved Jonah. I ship him and Cate so hard but I don't think it will happen. They are so cute together but maybe they are just better as best friends. I also adored Austin. He was such a great character and he has a lot of potential to go even further. He had only one flaw and that was his instalove with Cate. Overall, it was great to see the small changes that were implemented. I love the story but just not as much as before. I am still considering if I will continue this series. This was once one of my favourite indie reads but unfortunately, I think that I am no longer the target audience of this book and I believe that this factor has played a major role in overall thoughts of the book. 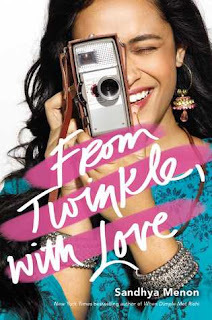 I recommend this book to the younger YA audience (thirteen - sixteen-year-olds). If you are looking for a great introduction into the YA Timetravel genre, then look no further. 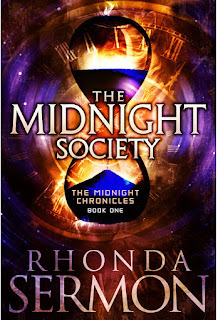 For Rhonda Sermon's The Midnight Society will definitely give you the kick start that you need to join the genre and the time-altering possibilities that it may bring.